The case is part of the second-phase investigation in connection with the massive fraud case at the Ocean Commercial Joint Stock Bank (OceanBank) that involved the bank’s former Chairman Ha Van Tham. 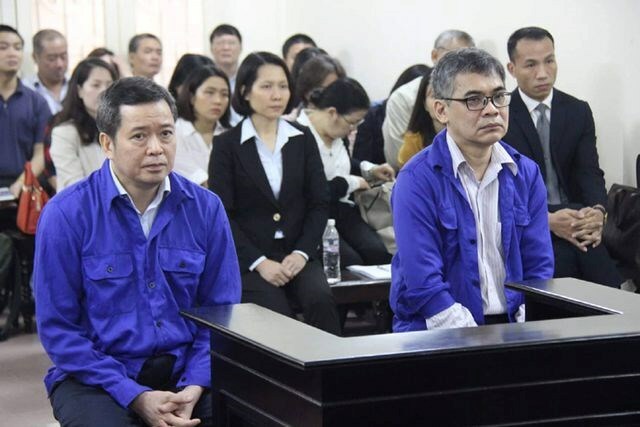 The two defendants are former General Director of Vietsovpetro Tu Thanh Nghia and former chief accountant of the firm Vo Quang Huy. According to the indictment, Vietsovpetro began using payment account services of and had some fixed-term deposit contracts with OceanBank at the end of 2008. By 2009, it had many fixed-term deposit contracts and maintained a large payment account balance at the OceanBank branch in Vung Tau city. This was in line with the direction of the Vietnam National Oil and Gas Group (PetroVietnam) – which represents the Vietnamese Government in contributing 51 percent (or 765 million USD) of Vietsovpetro’s charter capital – regarding prioritising financial services of OceanBank, to which PetroVietnam contributed 20 percent of the charter capital. Between late 2008 and 2014, Vietsovpetro signed 54 deposit contracts in VND worth 13.2 trillion VND, and 70 others in USD worth a total 1.26 billion USD. It opened four payment accounts, comprising three in Vietnamese and one in USD, at OceanBank with monthly balance maintained from 200 billion VND to 900 billion VND, and from 10 million USD to 400 million USD. The bank gave the firm more than 49.7 billion VND and 595,283 USD as interest each month. Meanwhile, then Chairman of the Board of Directors of OceanBank Ha Van Tham ordered that extra interest which was not stated in contracts be paid to all clients who had deposited money at the bank. From 2013 to 2014, then Director General of OceanBank Nguyen Minh Thu received money sent from the OceanBank headquarters through other people’s accounts at the Vung Tau and Ho Chi Minh City branches to pay the extra interest to Tu Thanh Nghia and Vo Quang Huy. The Supreme People’s Procuracy said as the then leaders of Vietsovpetro, Nghia and Huy decided to deposit the business’ money at OceanBank and received the money from Thu. While Huy received and appropriated 5.2 billion VND and 130,000 USD, Nghia took 1.5 billion VND and 30,000 USD.